All Mogami cable assemblies are made with the finest cable, connectors, and assembly practices in the industry. We are extremely proud of our reliability, and problems are quite rare. However, should you experience trouble with our product, our Lifetime ("No Excuses") warranty to the original purchaser assures you are completely protected should something unfortunate occur. 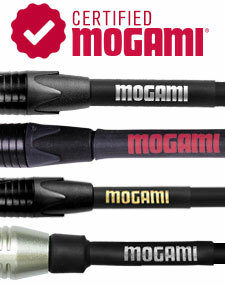 1) Go to a participating Mogami dealer for an exchange. If they have the cable in stock, this should be a quick and simple process. Please be sure to verify stock with your dealer to ensure product availability. 2) You are welcome to contact us directly for a replacement. We can only warranty factory assembled cables. This means your cable must have our shrink wrap labels to be eligible for repair/replacement. What is wrong with your cable? 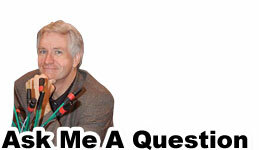 You will be given an RMA (return authorization) number. Write it down! This is how we track your package. The RMA number must be clearly written on the package. 3) You Can fill out our Warranty Request Form. Please make sure that all the require fields are filled out correctly. What is written on the cable? *How Long is the Cable? *What Ends Does Your Cable Have? Do NOT send your package to us without an RMA number! Also, please use a traceable, insured shipping method. Once we receive your package, it usually takes about a week to process and release from our warehouse.